Thread: AMP B4. Please Help ID shock. Nubee. Well, I pulled the trigger and bought the 20" AMP B4 with little deliberation. Seems like a polarizing bike...anyone who reviewed it loved or hated it. The way I see it - for $400 I couldn't go wrong. Anyway, the guy I bought it from didn't know much about it, and told me it was a Fox shock in the rear. From what I've heard a Fox shock shouln'd fit? 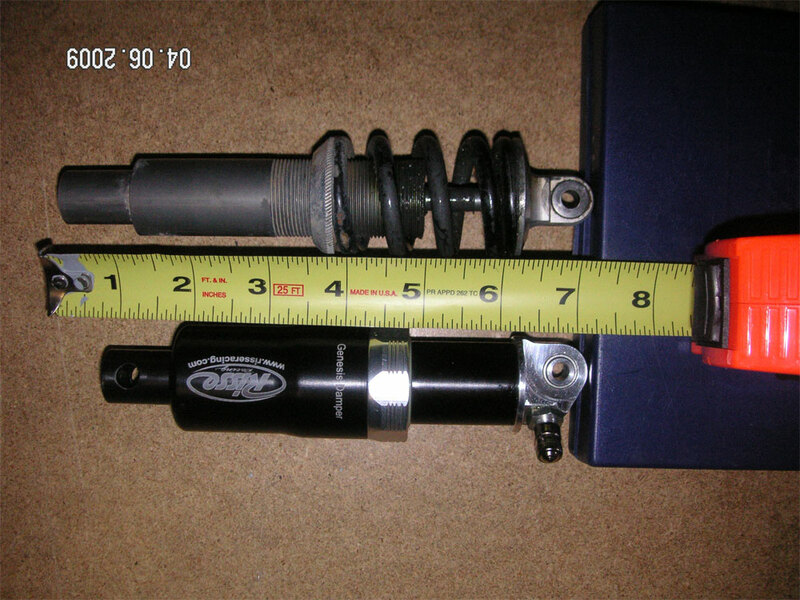 Please see the pics below and help me ID the shock (and fork model for that matter). 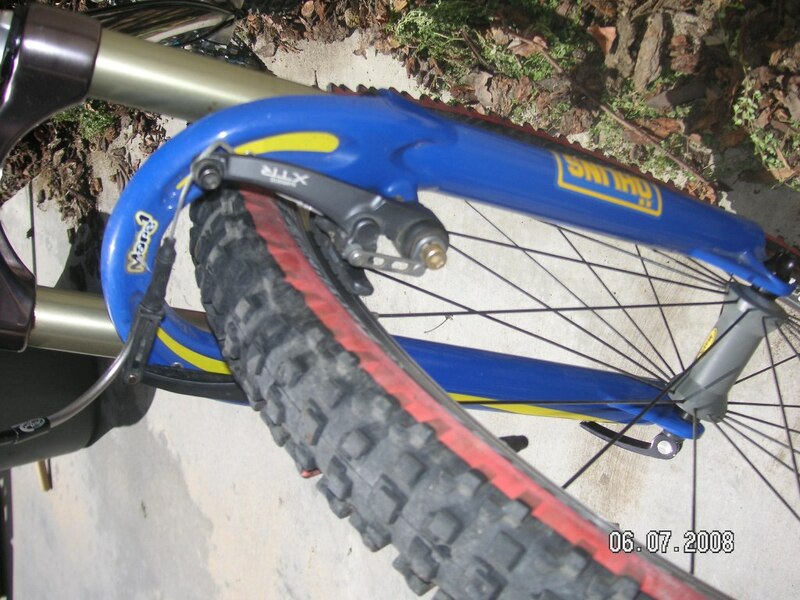 I'm no expert on the AMP rear shock but it may have been made for AMP by Rock Shox. 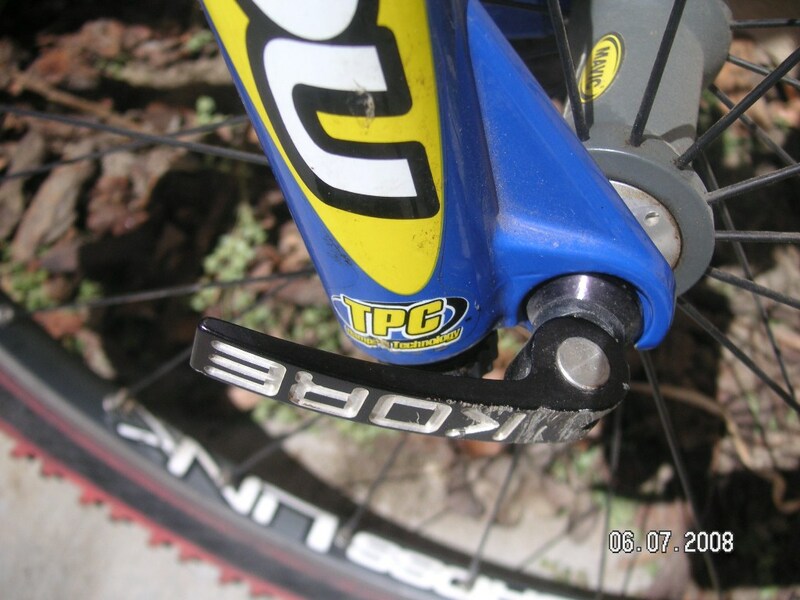 The fork is a Mars with TPC just like it says & is very smooth even for todays standards. Thats quite the looker you got there, $400 . Am I crazy or did I see that bike on Craigslist in San Diego? I thought about calling that guy but it didn't have the original AMP fork. The manitou is ofcourse much better but I would have been buying it for its colectability. It was after all one of the most advanced, expensive bikes of its time. It really looks nice!!. If the craigslist pics had been that good I would've jumped on it. 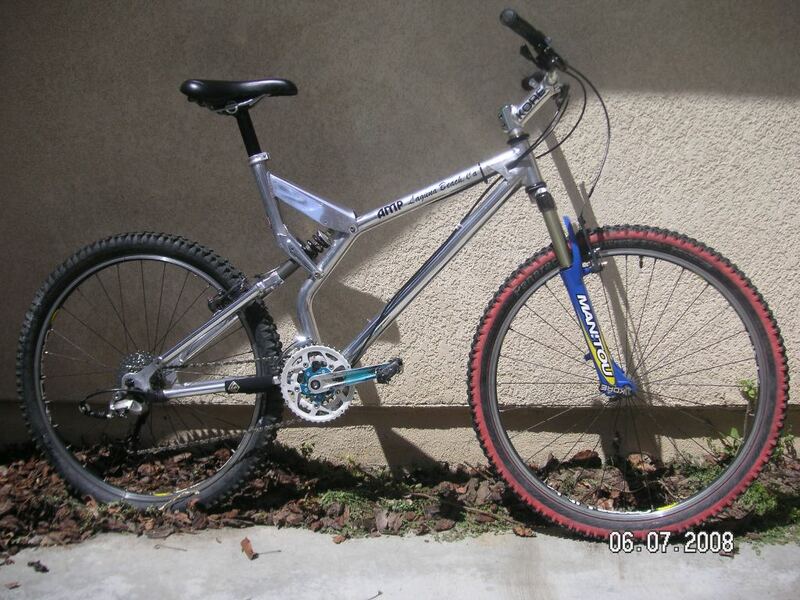 Yep, that was the SD craigslist bike. I cruised down from OC this morning and paid cash. OH...And sorry for you missed grabbing her before me! Yeah the stock amp fork and original parts make the bike more collectable but ofcourse the upgrades make it more rideable. I actually sold an original amp fork on ebay for 180. They really sucked but they only weighed 2.7 pounds. I think that is the stock rear shock. Last edited by sandmangts; 06-07-2008 at 08:09 PM. I know where there's another AMP B4 in OC for sale. Stock and very little use. About the same price. Only Fox that I knew of was the one they made pull shocks for Turner's stinger Amp B-3 variant. Not the same as the B-3 by a long-shot - more of an evolution of the design. From one flat land to another. I'm getting some mixed info on the shock here, while I'm inclined to believe dogonfr (18k posts), the shock doesn't look all that similar to the Risse image / diagrams. My post count has nothing to do with knowledge, the Risse link was a suggestion for a replacement if so inclined. Thanks for the ego boost. That is the stock shock that came on the bike. I don't remember who made it, but that does not matter. You can ride it, but it will blow. Go to Risse and get the astro-5 for $298.00. Save that shock and ride it in 3 or 4 years while you have the Risse rebuit for about $40.00(it is about a 4 day turnaround). That is what I did, and I have been riding my B4 with a carbon rear triangle 4-6 times per week (East Coast woods single track and 24 hour endurance races) for 10 years now. And BTW, it weighs 21.75 lbs. It is lighter than the Bontrager Ti I used to have. Can't say on the shock, but it reminds me of the Noleen. Anyway, please make sure you reposition your skewer lever so that it can close fully. Looks like it's not completely closed. 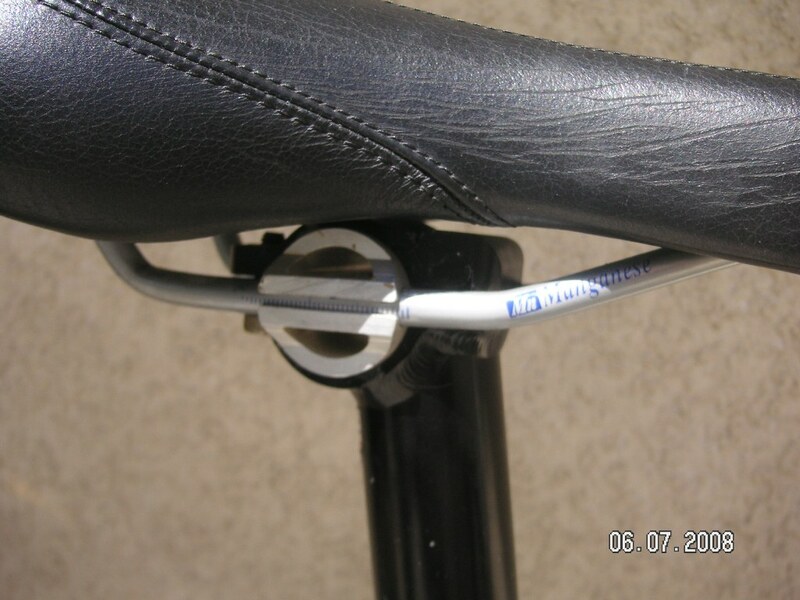 If it doesn't go 'over center', it could open while riding. I'd rotate it to where it won't contact the leg, and when it's tight enough, you should have a backward KORE imprint on your hand. If I'm stating the obvious, sorry. They have tools as well and everthing is easily rebuilt. Nope, not an AMP shock. I'm very familiar with these bikes as I live close to AMP and had friends who worked and raced for them. Clearly a Noleen. I am the Canadian distributor for AMP (moot point since they aren't selling new bikes anymore, but I have a lot of AMP stuff in my basement as a result). I only recall Risse making the upgraded shock, and then it was air. A coil upgrade shock? Could be, but I don't recall that myself. Now, about the forks - I gotta disagree with others on this point. Yes, they track amazingly well (like a rigid fork, no flex to speak of), and they work awesome in terms of suspension. And of course, they are still among the lightest available anywhere. My carbon F3 is 2.1 lbs - try to find anything close to that without significant flex. The thing that stands out about these forks is that they track forward in compression - or, more specifically, the wheelbase does not shorten when they compress. What that amounts to is that the fork feels as though it progresses beyond the obstacle (root, rock, whatever) and almost propels forward - it doesn't slow down, it maintains speed or jumps forward. And not in an uncontrollable way - I've never felt more in control than when I've ridden an AMP fork (on any bike, which includes ultralite HT's, FS's (AMP's, Heckler, multiple Ellsworth Truth's, etc. ), all bikes). Thanks for chiming in. I've been riding the B4 four days a week now for a few months...mostly XC, and I LOVE this bike. At first it felt a bit flexy, but after dialing in the fork, the bike is very predictable and controllable. I put her anywhere on the trail I want. The rear shock isn't great (OK sux), but she'll do for now. Will go risse as family / money allow. 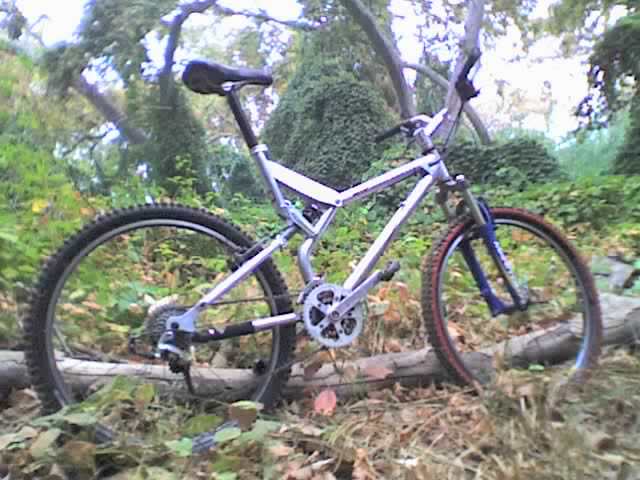 Also, ended up cracking the super-light cranks on a small jump with flat landing. Ended up buying some beautiful, vintage White Industries 175mm cranks on Fleebay, and they'be been creak / groan free. See pic attached. Funny, I was just looking at the first pictures you posted, and I thought to myself, "Hmmm, those look like Kooka cranks. I hope those hold up ok for him." I went through a few pair of Kookas back in the day. All of them creaked and ended up cracking. The aluminum seemed very hard and brittle compared to the cold forged Shimano units I ended up with. 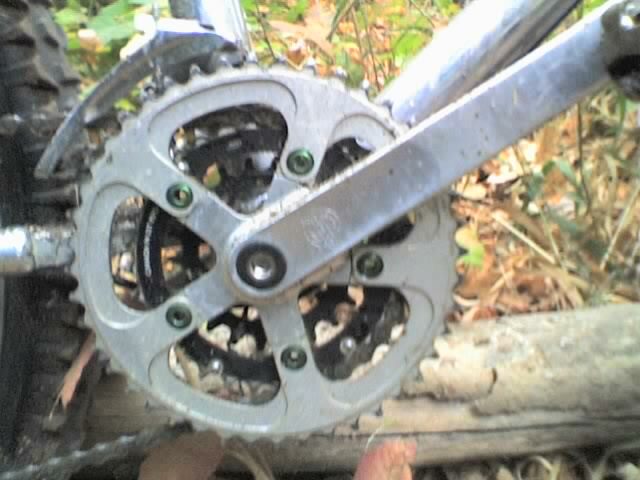 Yep, those are stained Kooka cranks. Nice to look at, but a little too light for durability. They're gonna be mounted on the wall when the garage redo is done. That is not a stock AMP rear shock. The stock AMP shock was a LOT smaller. Anyway, it wasn't great - plagued by AMPhysema (wheezing of the damper). I replaced mine with a Risse Genesis air/oil shock for much better performance. Not as adjustable as the Astro, but once dialed in, it was very good, and light. 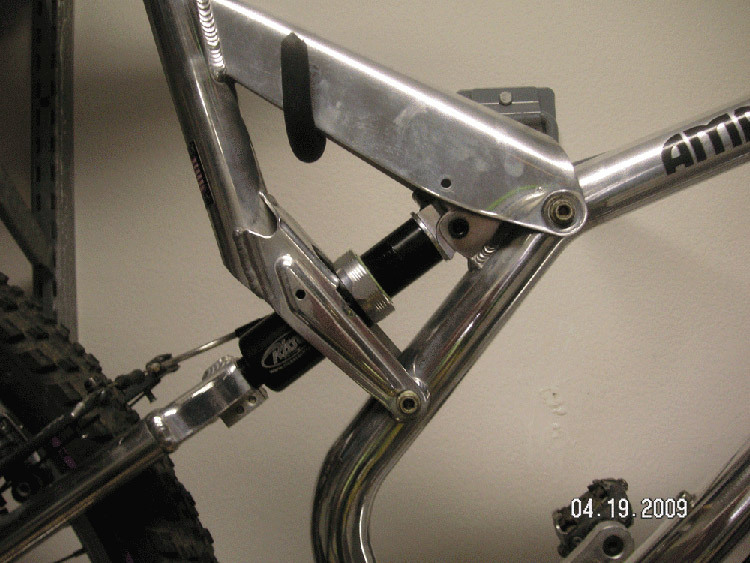 Also, the front shock is not OEM - the AMP F-4BLT or F-3XC linkage forks were awesome once you dialed them in. If you were "out of the zone" for your weight/riding style, they were terrible. A lot of bad reviews for this shock by people who didn't have them adjusted properly. I sold my 1996 AMP (B-4 w/ F4-BLT, for a 2001 SC Superlight - I like the extra travel, but not the extra weight. This post should be stickied or relocated for Amp riders to get some great info. It is a Noleen, which means it was probably off of something like a Proflex (also known as K2, Noleen), a Mantis Profloater, one of Supergo's early duallies, or another Amp knock off's from the early days. The Noleen, if it was working right, and the right size, would have been an improvement on the stock Amp shock. I remember seeing one back while in college, and even then I knew it was a bit lightweight for me. Slow process but coming along good. New shock-mount bushing (top) arrived. 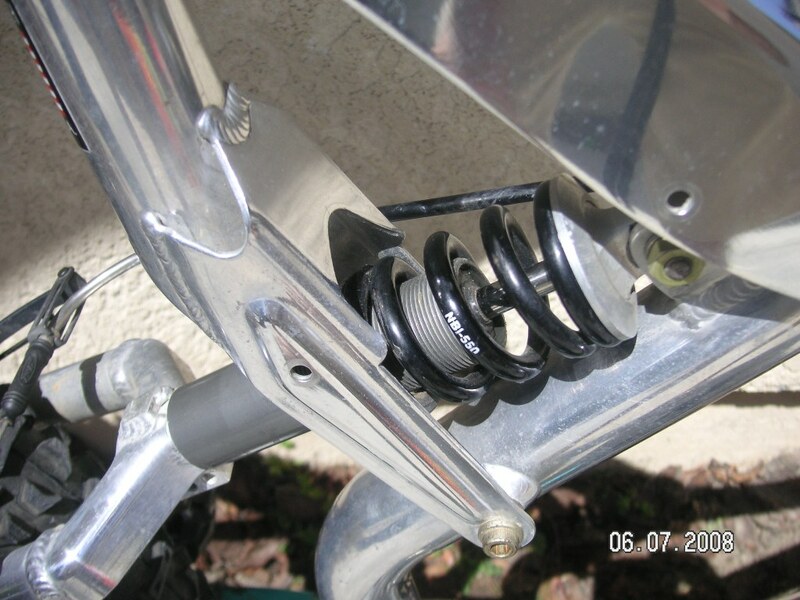 Unfortunately, the bushing was too long and did not fit between the suspension mounting tabs on the frame. I dremel-tooled the bushing to fit between the tabs, and PRESTO! The shock slif into place. See pic of new shock mounted. NOTE - Shock is MUCH shorter than the Noleen (I think) that is replaced. See see post height change required to maintain same leg extension during stroke. Geometry looks quite different...with the rear triangle running closer to the top tube angle. Last edited by dave911; 04-19-2009 at 02:55 PM. Very nice great to see old technology still rolling along. Since I dont know ya I'll say the bike. Hello Dave im David good to meet ya.